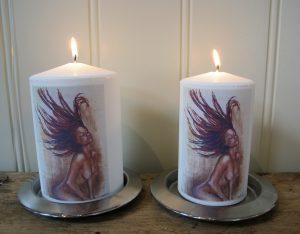 My new art candles arrived today. Several people have popped by the last couple of weeks to look at the test print candles an ask when the new candles will arive. 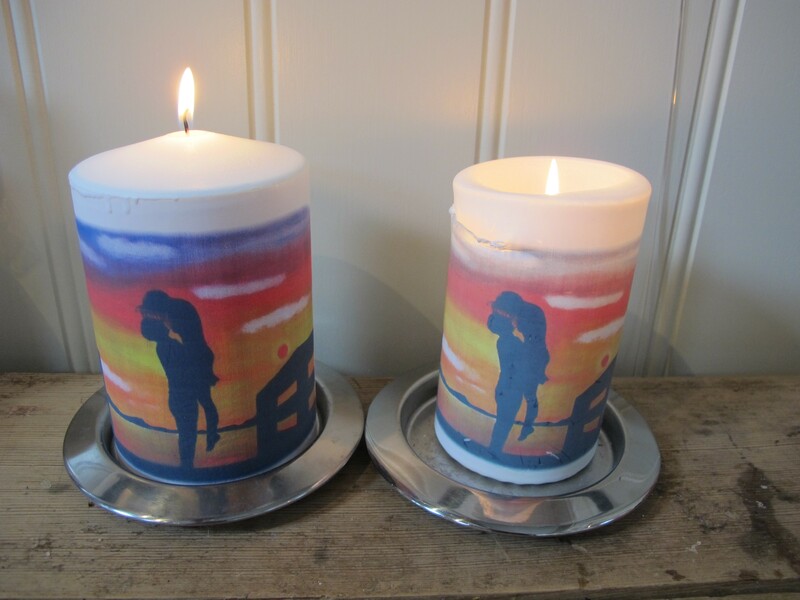 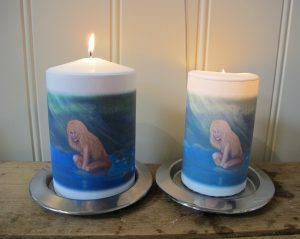 In addition to the brand new motifs I have also received large candles with the painting of Huldra and of the couple in the sunset. 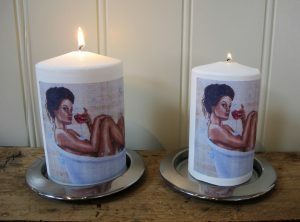 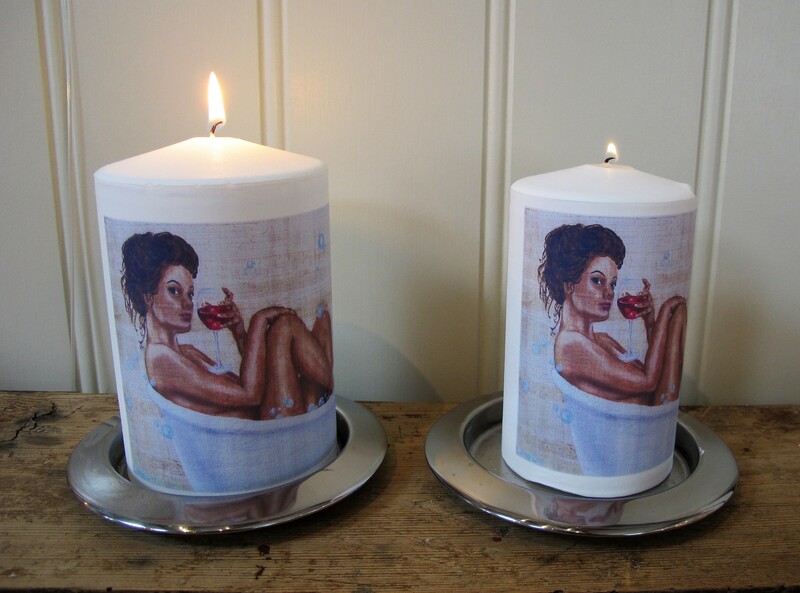 I have only had these two candles as the smaller version, but as more andmore people have asked if I can have them made in a larger format I have now sorted that. For all of you who cannot get to my art studio have a look at my web shop where you can find all these new candles and plenty of other art merchandise too.